If you are looking for a fun trip to take with the kids (or even by yourself!) Mystic, CT is a great choice. There are lots of interesting attractions for young and old alike. You might be familiar with Mystic, CT from the classic 1988 movie Mystic Pizza starring Julia Roberts. While Mystic does have excellent pizza, they also have a host of other fun and engaging activities for all ages. Mystic Aquarium – Let’s start out with my favorite, the Mystic Aquarium! The Mystic Aquarium is home to the North East’s only Beluga Whales. The photo above is my daughter interacting with a Beluga on our trip to the aquarium this summer. The Mystic Aquarium also has penguins, sting rays, a 4-D theater, and an extremely interactive bird exhibit that allows you to enter the bird enclosure to feed and hold the birds, if you are able to catch them. The Mystic Aquarium gets an A+ in my book for fun and entertainment. 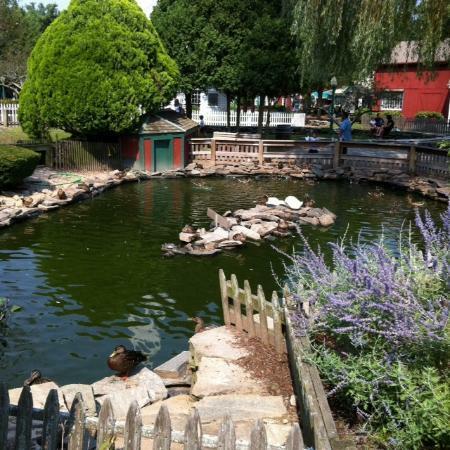 Olde Mistick Village – The Olde Mistick Village isn’t worth a trip on its own, in my opinion, but it shares a parking lot with the Mystic Aquarium, so it’s definitely worth a look if you are visiting the aquarium, anyway. The Olde Mistick Village is a quaint little collection of shops located in a small walking area with some green areas, a very small duck pond, and a few restaurants. If you’re looking for a unique gift to bring back to someone from your trip to Mystic, you might be able to find it here. 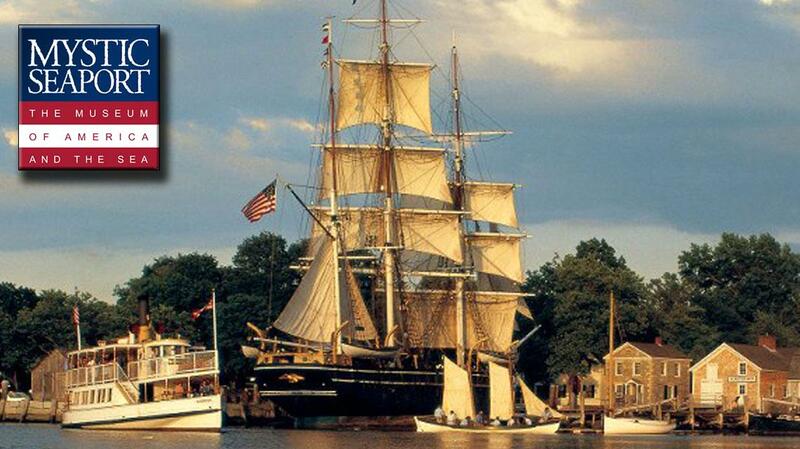 Mystic Seaport – Mystic Seaport is an excellent large indoor/outdoor maritime museum. Mystic Seaport was founded in 1929, and is the resting place of the Charles W. Morgan, the last wooden whaleship in the world. Expect to spend at least a half day, or even a full day at Mystic Seaport. Mystic Seaport has a ton of activities, especially in the summer season, including a re-created 19th-century seafaring village, a working preservation shipyard, gardens, a planetarium, and a children’s museum. You can also take a boat tour and explore the historic Mystic River from May through October. Mystic Seaport didn’t sound very fun and exciting to me when I was reading about it online, but when we visited in person it was actually very fun. The children’s museum was probably my kid’s favorite part, and I enjoyed the planetarium very much. I hope that this article has gotten you excited to travel and explore. If you can’t make it out to Mystic, CT, why not take a short trip to somewhere closer to you? If you’re going on a trip, I suggest stocking up on gift cards from DealDash. Gift cards are great to take when you are travelling, and if you bid on gift cards on DealDash you can earn clock time for being the highest bidder. If you don’t win you can just BIN (Buy It Now) for face value, get free shipping, and get all of your bids back to use another day. Here is a link to get gift cards from DealDash. Good luck and happy bidding everyone! Winter is just around the corner, and I don’t know about you, but my lips get extra dry in the cold weather. Let’s see what we can do to stop the damage before it even starts. If you’ve never used a lip scrub before, you’re in for a treat. Lip exfoliation can help remove the dry, dead skin covering the lips, and reveal your soft lips underneath. Lip scrubs are easy, quick, and inexpensive to make. Though it can be slightly addicting once you start, it’s important not to use this scrub to much-our lips are fragile after all. Once a week is more than enough to keep your lips soft and healthy. Approximately 1 Tsp of coconut oil – if this is not enough to make your sugar stick together add more little by little until you have reached your desired consistency. This recipe can be adapted to fit your own tastes, for example, you could use white sugar and add 1 drop of the food coloring of your choice if you would like to make a pretty scrub to use as a gift. In fact, you could make up a large batch of this, put it in pretty containers from the craft store, tie ribbons around the top, and give them as gifts this holiday season. This lip scrub should last for a few weeks stored at room temperature, and even longer if you refrigerate it. If you do put it in the fridge, though, make sure you give it a good stir before you use it. I hope that you will find this article helpful in the upcoming chilly weather. If you enjoy skin care and beauty, DealDash has a wonderful category called Fashion, Health, and Beauty which you will enjoy browsing. Just click this link right here and it will take you to DealDash. Good luck and happy bidding everyone! This entry was posted in Uncategorized and tagged beauty, craft, Deal Dash, DealDash, DealDash Auction, dealdash auctions, dealdash.com, fashion, health, ladies, make, women on August 30, 2016 by . 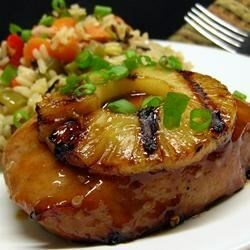 Some sweet and spicy pork sounds delicious for dinner tonight. This recipe is delicious and also low in fat and calories. Before I became more interested in cooking, whenever I heard “pork” I immediately thought “fattening.” Surprisingly, though, 3 ounces of pork is only around 200 calories. I am a big eater, though, so I probably eat twice that as a serving size. However, ounce for ounce it’s very similar to chicken, which I have always thought of as low in calories. This recipe has around 400 calories per serving, and around 13 grams of fat. Even more important than that, though, it’s delicious. Add the pork to the baking sheet with the roasted oranges, pineapple, and onion, then pour the ketchup mixture on the top and roast for about 16 minutes. Toss the remaining unroasted oranges, pineapple, and onion with the lime juice and cilantro, serve with the pork. I personally would serve this on top of a bed of white rice, but you could also just serve it as-is, it’s your choice. This is a quick, easy, and healthy dinner that everyone can enjoy. I hope you like it! If you are browsing DealDash while you are waiting for your pork to finish cooking, check out the Kitchen & Dining category. DealDash has everything you need for the kitchen. Just click this link right here to check it out. DealDash is fun for everyone. Good luck and happy bidding everyone! This entry was posted in Uncategorized and tagged cooking, Deal Dash, DealDash, DealDash Auction, dealdash auctions, dealdash.com, dinner, family, house, kids, pork, recipe on August 29, 2016 by . There are many myths floating around about cleaning that have been passed down from grandmother to mother to daughter to friend, etc. Sadly, not all of these cleaning tips are correct. Some of them even cause more work for you. Here are a few cleaning myths, and what you can do instead to make your home cleaner and your life a little easier. Myth 1 – Vinegar cleans and disinfect everything. This is a myth that I have believed in for pretty much my whole life. Unfortunately, unless you use straight vinegar out of the bottle it doesn’t really have the cleaning and anti-bacterial properties that you thought that it had. If you are using just a cup of vinegar to 5 cups of water in a bucket, then you really aren’t cleaning as well as you thought that you were. You can definitely still use vinegar as a cleaner, but you need to use it full-strength. I keep a bottle of straight vinegar under my kitchen cabinet, and deal with the smell when I use it. However, please don’t use it on wood or stone – it can actually damage the surface. For wood and stone, please use the appropriately labeled cleaner for the job. Myth 2 – Use newspaper to clean your windows. No, don’t. The newspaper can get soaked and leave small pieces behind, and sometimes the ink can transfer onto your windows or sills. Not only that, but the ink will definitely get on your hands, and personally, I dislike the smell of wet newspaper. Instead of newspaper, you can use microfiber cloth for the best results, or you can use a regular washcloth, or a disposable shop towel or paper towel. Myth 3 – Hand washing is cheaper and better for the environment. Not so – hand washing your dishes actually takes more water (about 5,000 gallons per year more) and it doesn’t really get your dishes any cleaner. In fact, the dishwasher gets the dishes much cleaner because the dishwasher uses a much higher temperature and actually sanitizes them instead of just cleaning off the food. I hope that you found this article helpful. 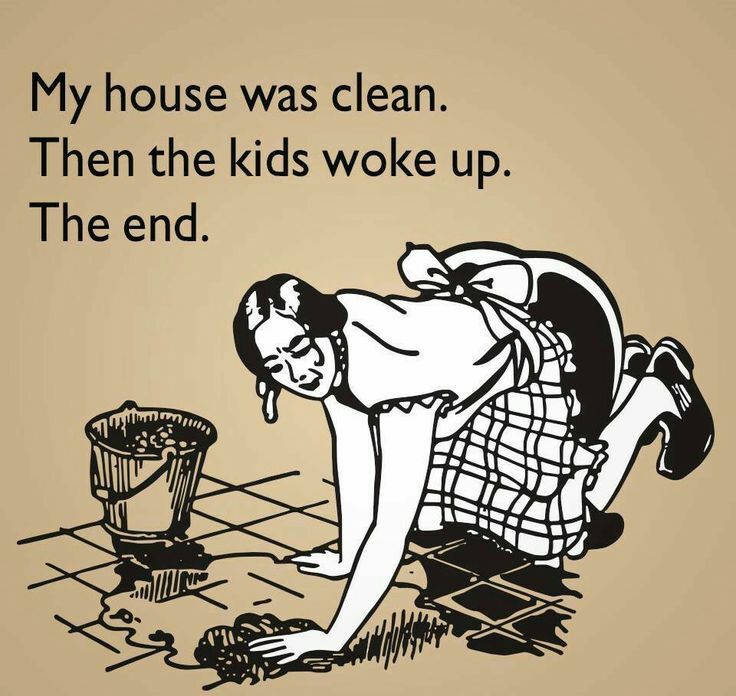 DealDash has many cleaning supplies that you can use in your everyday cleaning. 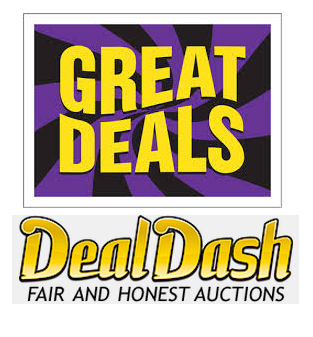 Why not bid on them on DealDash? If you don’t happen to win, you can always BIN (Buy It Now) and get all of your bids back. Check out DealDash right now at this link right here. Good luck and happy bidding everyone. This entry was posted in Uncategorized and tagged Auction, Auctions, cleaning, Deal Dash, DealDash, DealDash Auction, dealdash auctions, dealdash.com, family, home, kitchen, kitchen appliances on August 28, 2016 by . There is just a little bit of summer left before the kids go back to school, here are 5 things that you should do before summer is over. It’s been a great summer, but all great things must come to an end…At least until next summer, anyway! Here are 5 things that you should definitely do before summer has officially come to an end. Go to the beach!! Have you been to the beach yet this year? If you haven’t, it’s definitely time to go. I personally haven’t been this summer, I stayed at home with my baby when the rest of the family went, so this is something that I am going to have to correct over the next few weekends. It’s getting slightly less hot here in New England, so I think it’s about time that the baby gets his first trip to the beach! Have a picnic. Picnics are always a great time. I personally like to go to a place called Salem Willows, they have a little boardwalk area, a lot of picnicking space, benches, trees, and even a view of the water. It’s a wonderful place to bring a picnic lunch, walk around, and then to go the boardwalk and get ice cream. Shop for summer clothing for next year. They are starting to put the fall and winter clothing out in the stores now, so it’s a great time to shop the clearance racks for summer clothing that you and your family can wear next year. I was just at Target tonight, and I was able to get many, many t-shirts, shorts, sandals, and dresses for my kids for insane deals, from $1-4 dollars! It was amazing. Now is the time to do your shopping, though, if you wait too much longer all of the best deals will be gone. Have your friends over for a BBQ. A BBQ is a fun and relatively inexpensive way to have a party with your friends. All you need is some frozen hamburger patties, hot dogs, buns, chips, and some beer & soda and you are all set! You can minimize the mess by using paper plates, plastic utensils, and solo cups. It’s not the most eco-friendly way to party, but all of those items are recyclable, anyway. Have a backyard camp out with your kids. I am personally not one to “rough it” in the outdoors too much, but camping in your backyard is a great compromise with your kids if they want to go camping. You can pitch your tent on your deck or in your backyard, get out the flashlights and tell spooky stories, enjoy the sights and sounds of the night, look at the stars…And still be able to go inside and use the bathroom, win-win! I hope that this list has you thinking of some ways to stretch out the fun just a little bit more this summer. Now that you have a few ideas, you might need to buy some supplies. DealDash has Target gift cards, BBQ grills, and camping supplies. It’s always fun to play and win on DealDash, just click this link right here and you can get started. Good luck and happy bidding everyone! This entry was posted in Uncategorized and tagged beach, camping, Deal Dash, DealDash, DealDash Auction, dealdash auctions, dealdash.com, fun, gift cards, kids, ocean, picnic, play, summer, Target on August 27, 2016 by .